In the modern world, it is really easy to get lost in the whole variety of information that can be found on the internet. But the tricky part here is that from all of this diversity, to find really worthwhile and necessary information becomes a challenge. This problem is especially acute in the scientific community. The most obvious solution was to create a platform that will gather numerous resources of electronic libraries – that is how EPOSLINK was created. The platform offers various international electronic products tailored to the unique needs of information specialists and researchers. 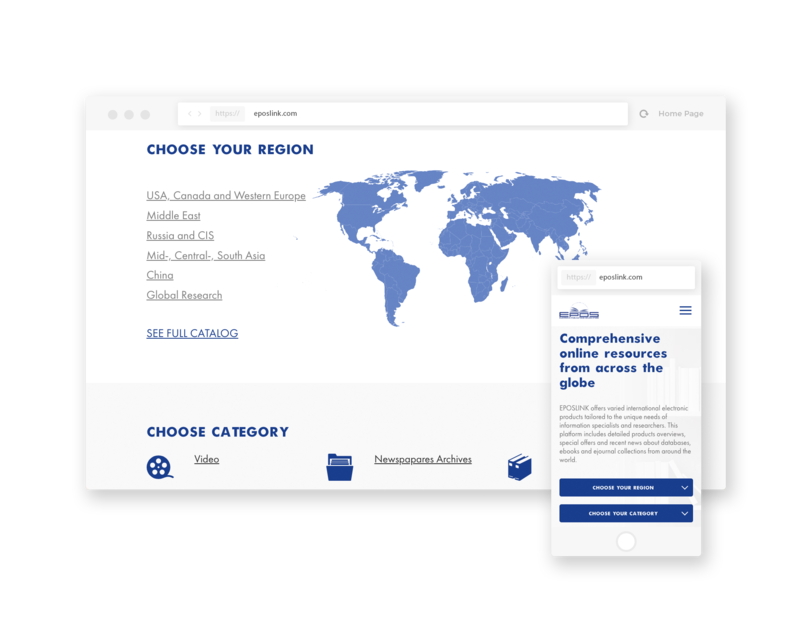 The platform includes detailed product overviews, special offers and recent news about databases, ebooks and e-journal collections from around the world. The website development was finished and went live on November 30, 2018. 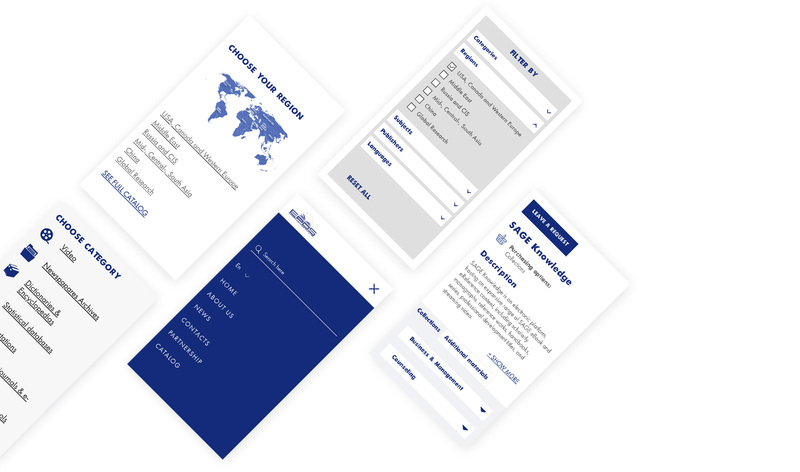 The goal was to develop modern and user-friendly website, optimized for all types of mobile and desktop platforms, that allows to easily browse through large database of electronic resources. The main challenge was to integrate WordPress backend with the external database of e-library resources and optimize each resource for Search Engines. The database includes different types of materials and the interface has to be fast and intuitive to handle the incoming data in a timely manner. So we developed a custom WordPress plugin that connects to external DB by API and generates pages for each resource. For each page there is an ability to set custom URLs and URLs и metadata for better SEO. Leave a request for specific electronic materials. The customer plans to add prices and make certain materials paid in the foreseeable future. The system proved to be fast and scalable, so any changes and improvements will be handled easily and smoothly. At the moment the website is working successfully and gathering its target audience. There are huge plans to expand core functionality and make the platform even more helpful and efficient. Stay tuned! A secure same-day luggage delivery service. Get more time and comfort during the travelling.